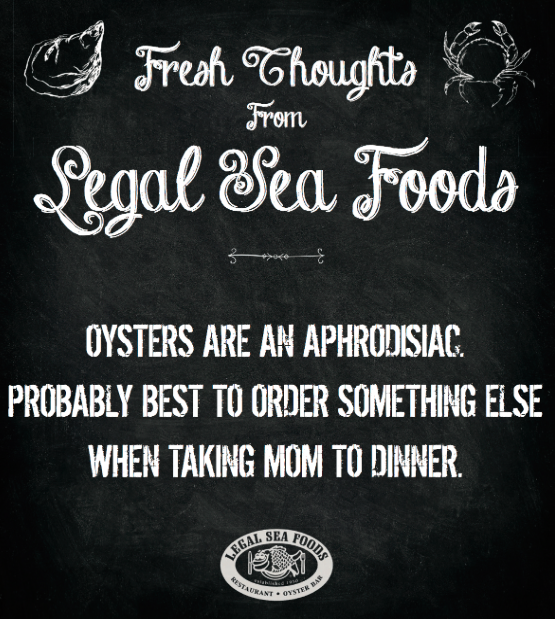 As the hardtsking staff has noted on numerous occasions, Legal Sea Foods owner Roger Berkowitz has a penchant for ads that are equal parts puerile, tasteless, and banned by the MBTA. Now comes the latest hook, line, and stinker ad from Berkowitz, which we happened to see yesterday on the MBTA’s Green Line. That’s not just tasteless. It’s sorta sick. 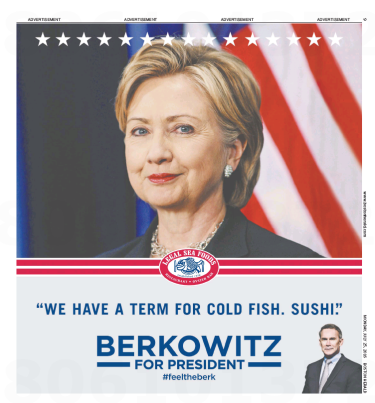 Memo to Roger Berkowitz: You’re getting scrod by hotshot New York agency DeVito/Verdi (which has also turned Bernie & Phyl’s way too phunky, and in the process gotten their ads banned by – yes – the MBTA). Those ads are all about awards shows, not your business. This entry was posted in Uncategorized and tagged #feeltheberk, #feelthejerk, Ad Forum, Bernie & Phyl's, DeVito/Verdi, hook line and stinker, If It Isn't Frosh It Isn't Legal, Legal Sea Foods, MBTA, Roger Berkowitz. Bookmark the permalink. It’s depressing to see a nice, homey, well-regarded company that made its reputation the hard way over the years suddenly trying to become “hip” and “cool” as it falls under the spell of a fast-talking, slick agency (usually from NY). In most of these cases, the agency really is looking for ad-industry awards and plaudits, and the needs of the client are secondary. Plus the agency wants to keep its employees working on what they consider exciting stuff. Of course, they don’t pitch it that way to the client. Instead, the client is lured into the trap by ego-pumping, slanted or selective market research, meaningless focus-group results, and more. Right on the money, Bill.